Great for use in bathrooms or kitchen areas. Softsoap Elements Liquid Hand Soap, Aquarium Series, 7.5 oz, Fresh Floral - Softsoap liquid hand soap with light moisturizers offers strong antibacterial protection that is clinically proven to eliminate 99 percent of germs. 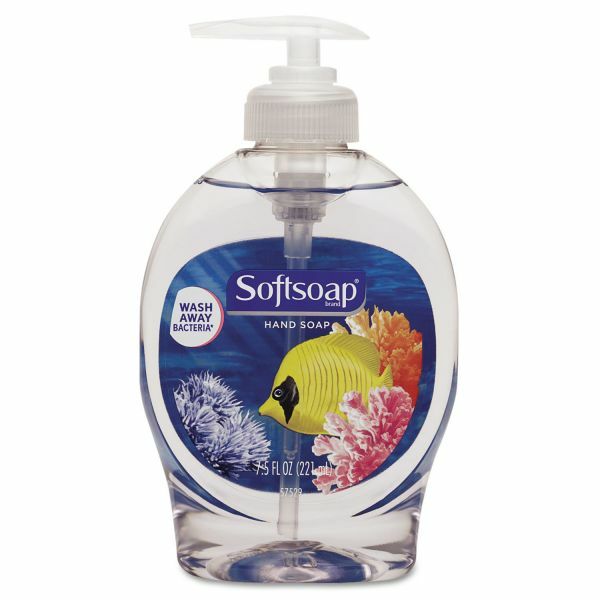 Dermatologist-tested soap gently cleans without leaving hands feeling dry. Light moisturizers help keep skin feeling smooth and soft. Pump bottle features an aquarium image for decoration.